FREE Mother’s Day Photo Card! This popular promotion from Treat is BACK! Make a FREE Mother’s Day photo card! They’ve got hundreds of different pre-made cards to choose from! These are perfect for moms AND grandmas! All you have to do is add your photos! Enter the code FREETREAT at check-out to get your free card! This offer should work for new AND existing customers! If you choose “Send it to me first” as your shipping option, it will ship for free! If you’d like to send the card directly to the recipient, you’ll just pay for the stamp! It’s definitely worth it to me because I have a BAD, BAD habit of forgetting to send off cards! Photo Brag Books just $.99 each SHIPPED! Here’s another fun Mother’s Day gift idea! You can get a 4.5” x 6” Photo Brag Book for just $.99 at Walgreens! You can score free shipping, too! 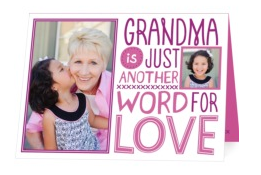 This is a perfect gift idea for grandparents because they love to shop off their grandkids! Purchase 2 and use the promo code SHIPDEAL to get free shipping too! You can order up to five books per account. You could also use these to make an end of year book for your child’s classroom teacher with fun pictures of her class from throughout the year! Snapfish Buy One, Get 2 FREE Photo Books! 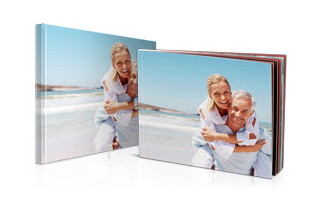 Snapfish has a HOT Buy one, get 2 free custom photo books offer! Mother’s Day is just around the corner, and this is a great time to make photo books for moms and grandmas! Prices start at $9.99, so you can get 3 photo books for just $15.99 shipped! To take advantage of this offer, make sure you enter the code 3BKS14 at check-out! You can create 3 separate books, but all of the books have to have the same base price. This offer is valid through 3/11/14. NOTE: Limit two free photo books per customer order, but the coupon code may be used up to 5 times per account. Offer excludes Premier Photo Books and Disney, Nickelodeon Suites Resorts, Dr. Seuss themed products. Offer applies to first 20 pages of photo book only. Additional pages will be charged at regular prices. If you haven’t had family pictures in awhile, you’ll want to grab this deal from JC Penney and Groupon! Get a JC Penney Portrait Package for $25! It’s been awhile since they offered this deal, so take advantage of it while you can! We’ve been getting photos taken at JC Penney for years now and we’ve always had great luck! The best part?? This deal doesn’t expire until 6/19/14, so you can use it for Easter photos, too! Two traditional photo sheets. Each sheet available as one 10″x13″, one 8″x10″, two 5″x7″s, four 3.5″x5″, or eight wallets, and each sheet can be a different pose. This popular offer is back! Design your own personalized photo tote for just $5.99 shipped! These are regularly $12.98 shipped! These would be perfect for grandparents and also great for classroom teachers! Fill them with their favorite goodies or with art work from the kids! You could use it as a library tote or a bag for the pool. You’ll also get 40 free photo prints when you take advantage of this offer! Choose from pre-made super cute designs or create your own! Enter the code TWOTOTE at check-out to take advantage of this promotion. This offer is valid for first time York customers only.